If you have any concerns regarding the allocation of hours/scheduling could you please contact us to discuss your issues so that we can get an understanding of working practices and also advise on an individual basis. The management at SC2 have agreed that orders for winter thermals/clothing should be distributed to team members. If you have not done so already then you should place an order in as soon as possible to receive them before the cold weather kicks in. There are meetings scheduled for Monday 3rd November with the Company for both the 2014 pay negotiations and also for the recent Redundancy announcement. Please feel free to contact us regarding either. As mentioned, the negotiating team met with the company on Friday 17th October. The negotiating team has put forward proposals but we are still waiting for the company to get back to us to see if there is any movement or if the company is sticking with their initial offer of 1.5%. 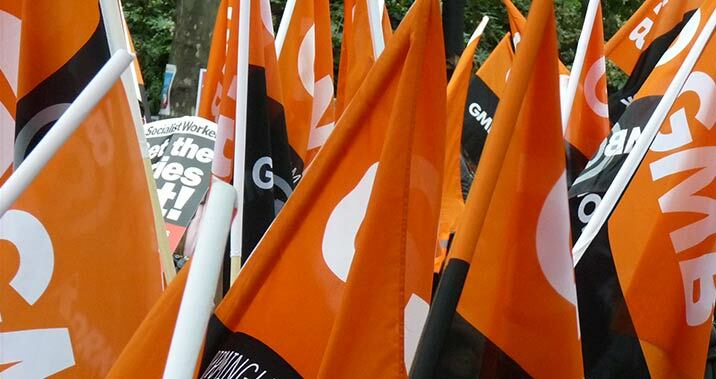 The Negotiating team will be meeting with the company on Friday 17th October to discuss both the 2014 pay negotiations (first meeting after the 1.5% offer was declined by GMB memers) and also to hold a retail redundancy consultation meeting after the last two meetings have been cancelled by the Company due to unforeseen circumstances. We will update you with further updates in the near future and dates of when the GMB will be meeting with the company. Pay Negotiations Update, September 2014. The Company has made a final offer of 1.5% to be put to team members. The National Negotiating Team will be meeting with the company on Tuesday 2nd September. We will update you when there is further updates. Join the GMB at the march and rally on Saturday 18th October 2014. Assemble 11AM at Blackfriars embankment for march to Hyde Park.